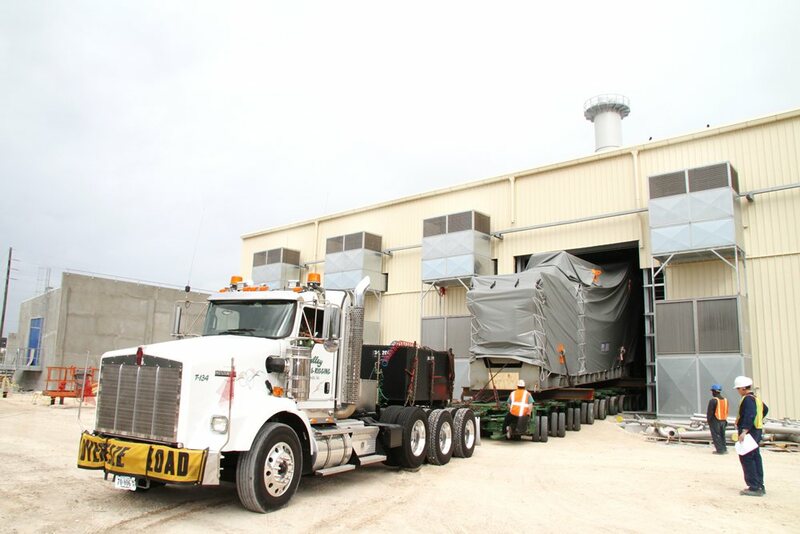 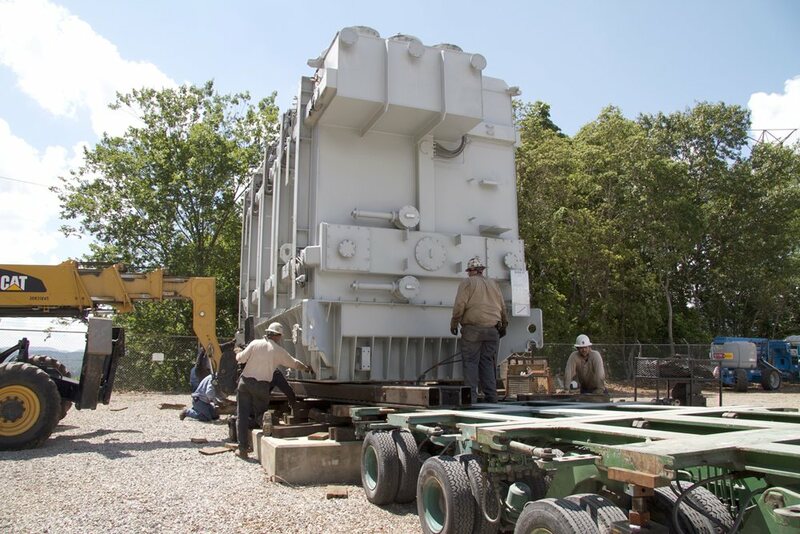 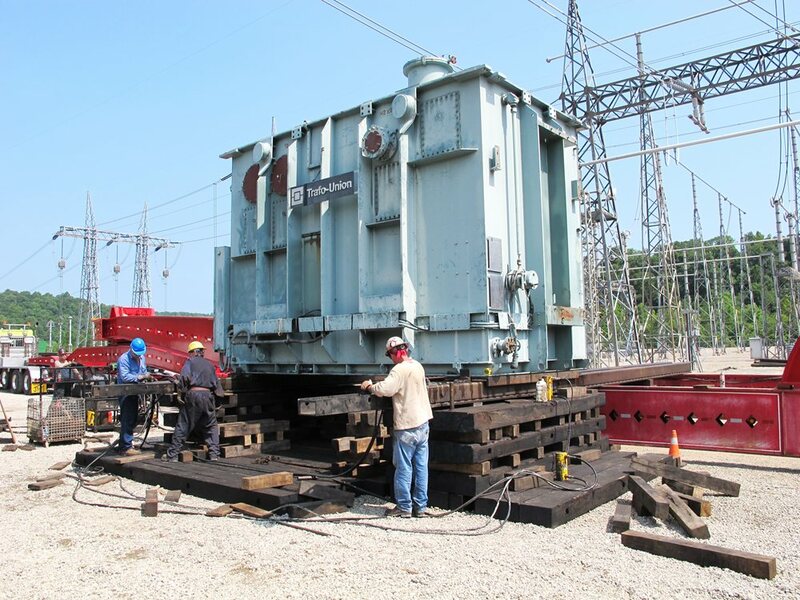 As part of its Industrial Services division, Valley Group offers specialized services for the transportation and installation of transformers, engines and other power industry assets. 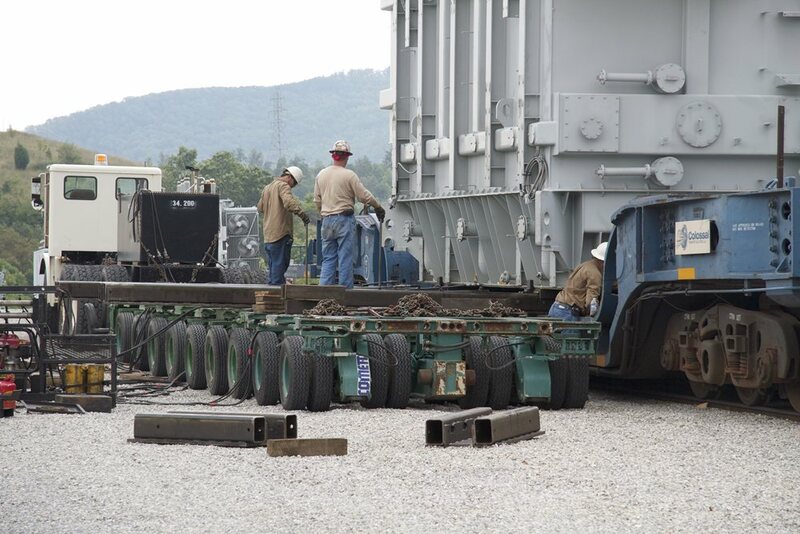 Whether as a turn-key contract from door-to-pad anywhere in the world, or as part of a logistics team handling the inland transportation and installation in the US, Valley Group has the resources and expertise to manage your project. 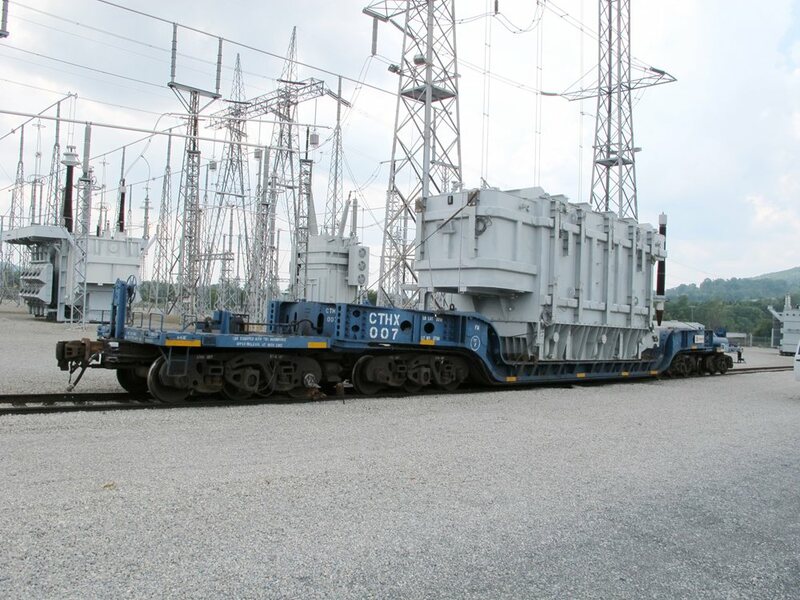 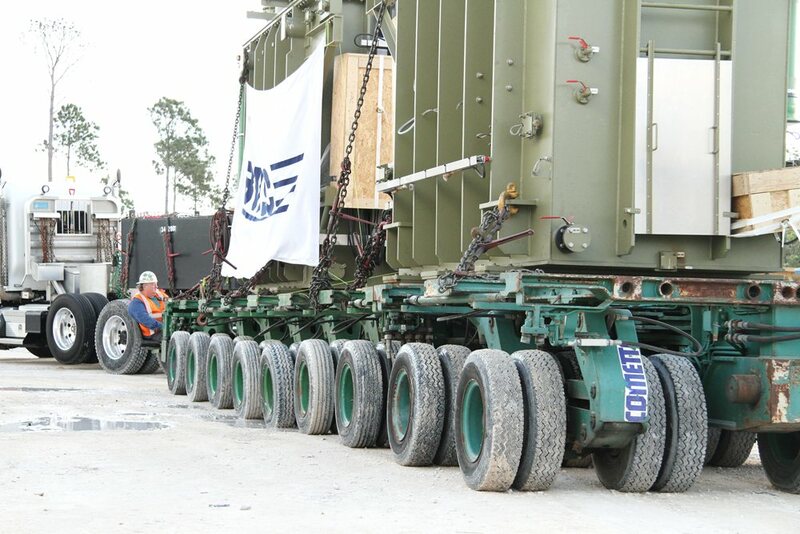 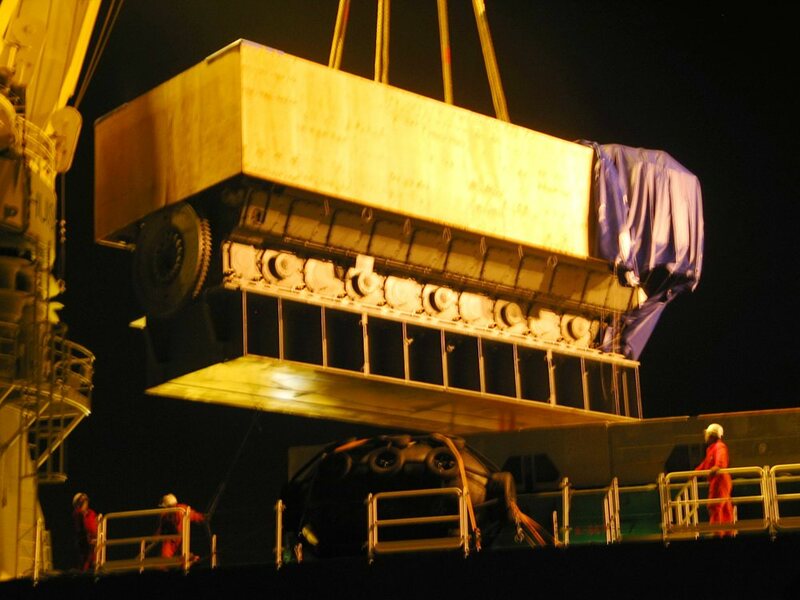 With 450 ton capacity jack and slide systems, 400 ton gantry systems, 26 lines of hydraulic trailers and multiple pull trucks, we have the equipment and expertise to handle any size transformer from rail car/road transport trailer to the pad or from the pad to rail car/trailer. 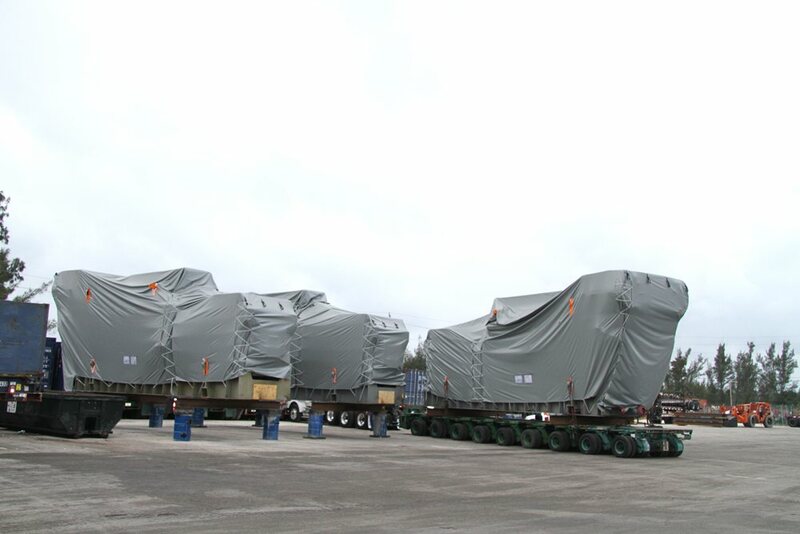 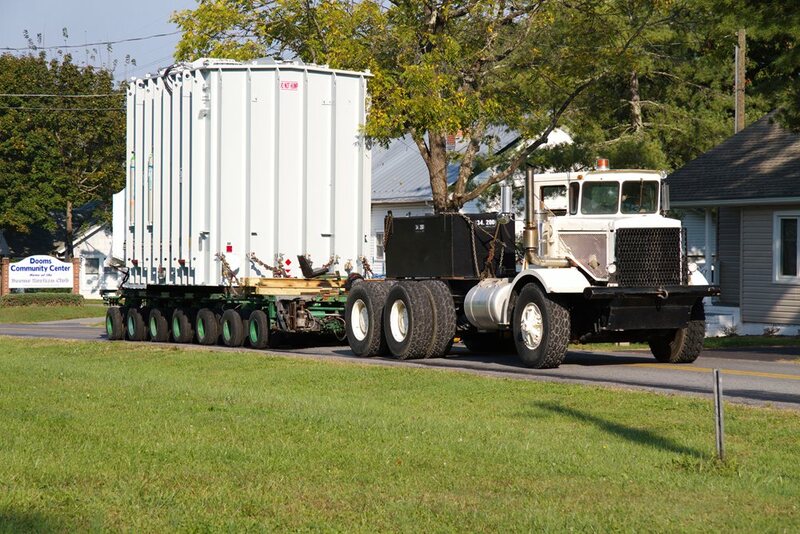 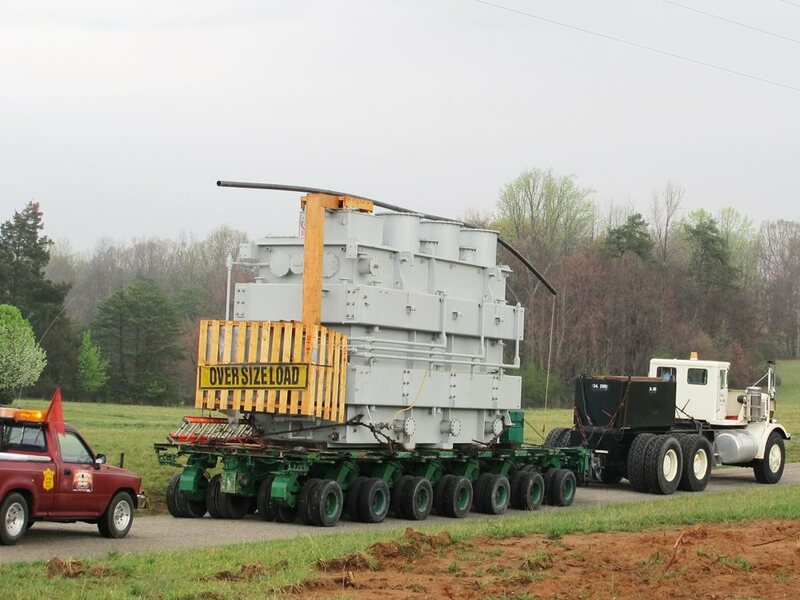 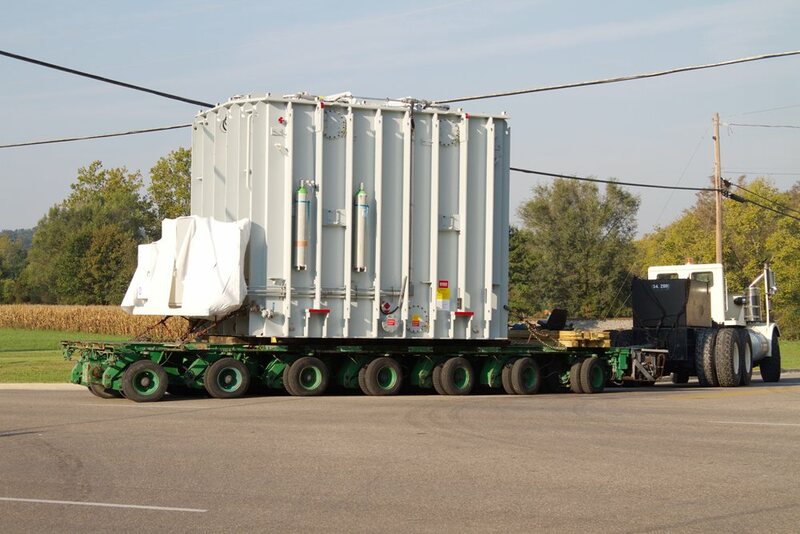 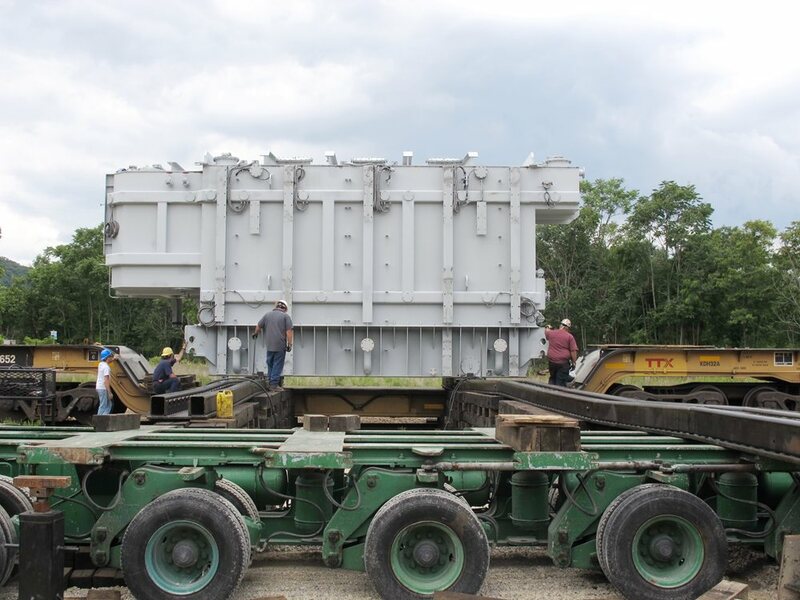 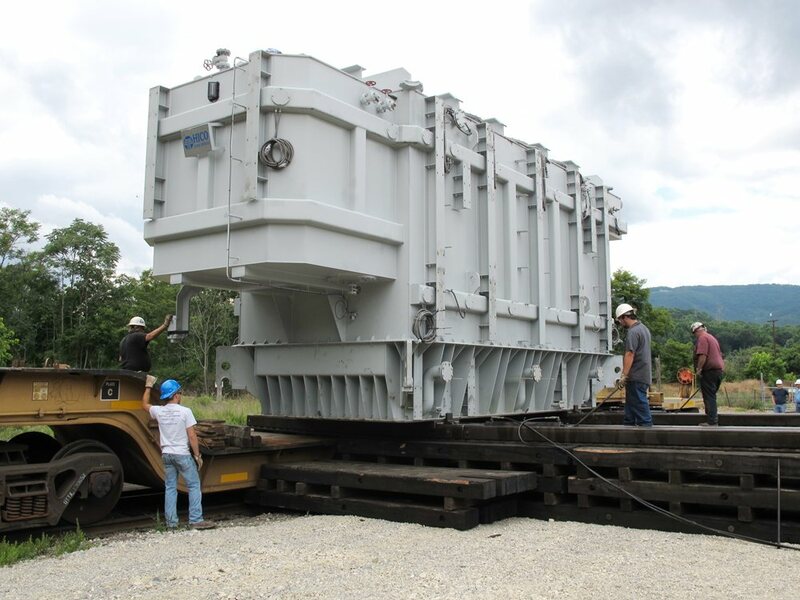 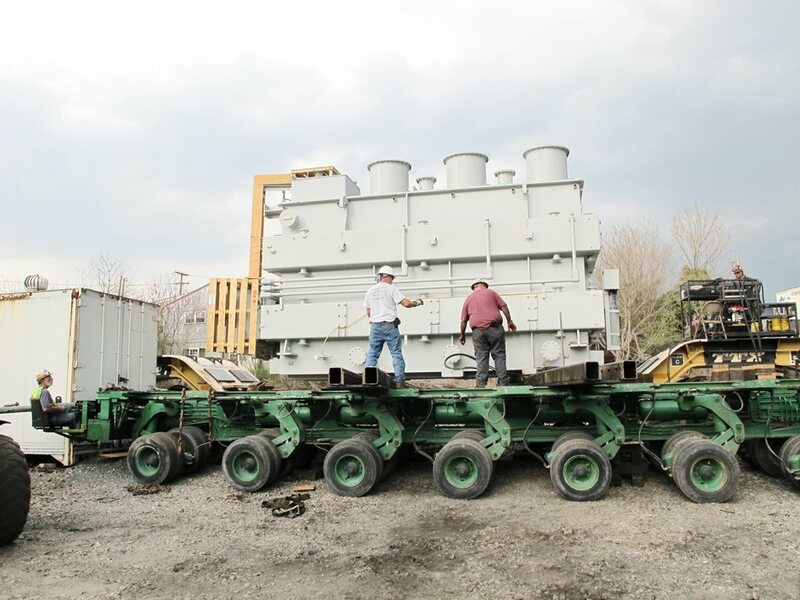 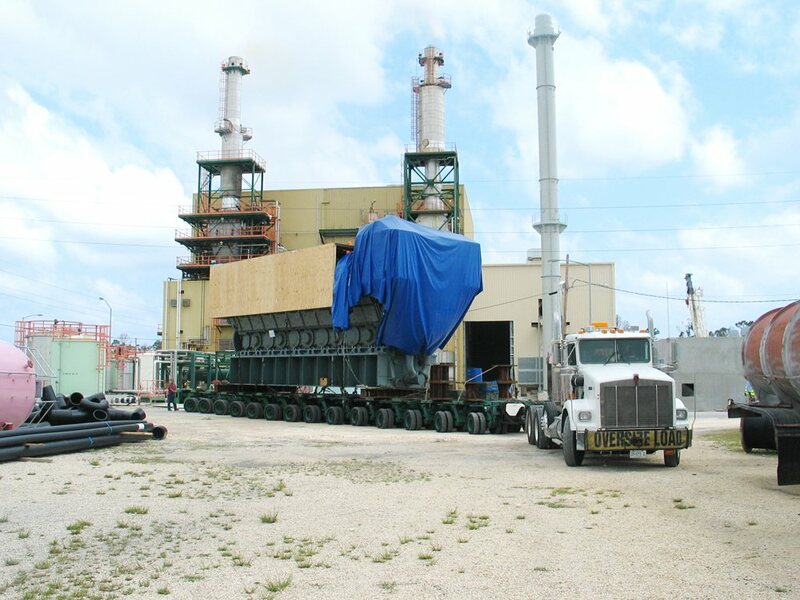 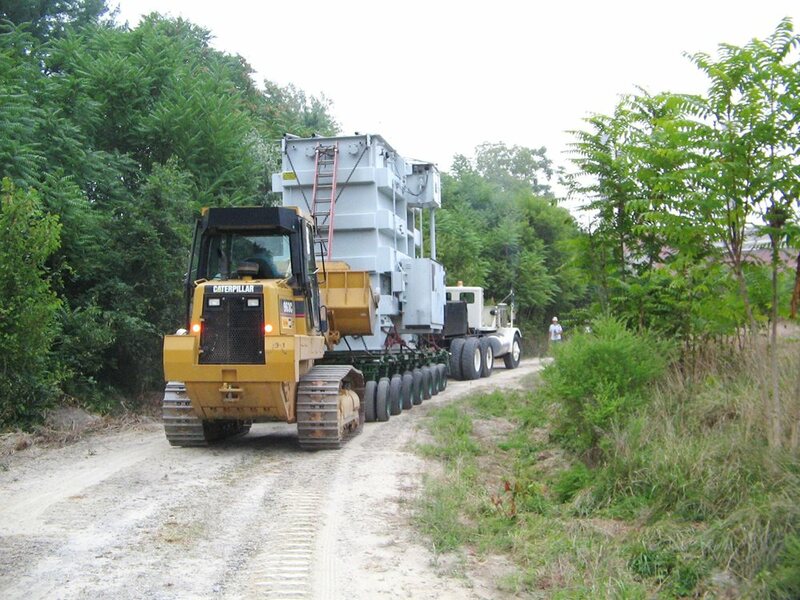 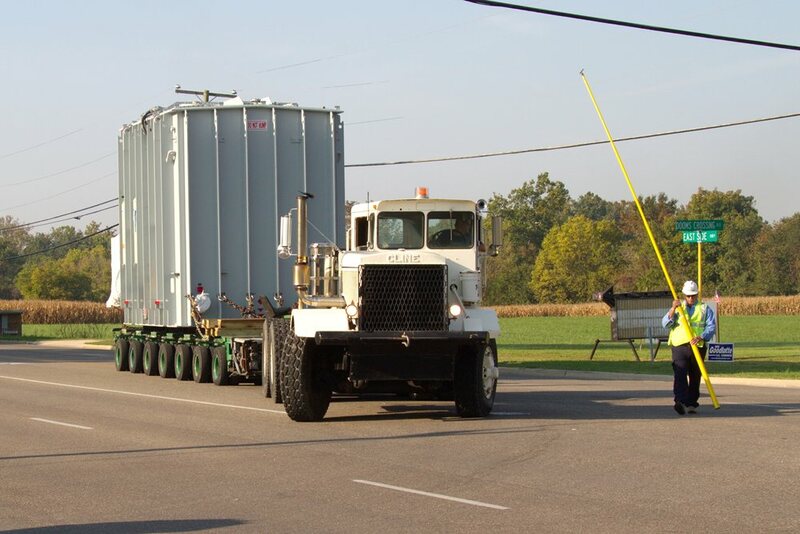 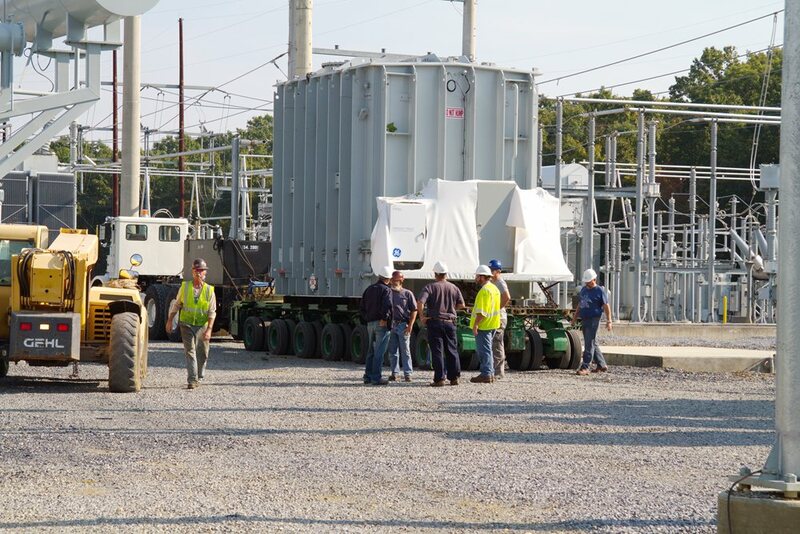 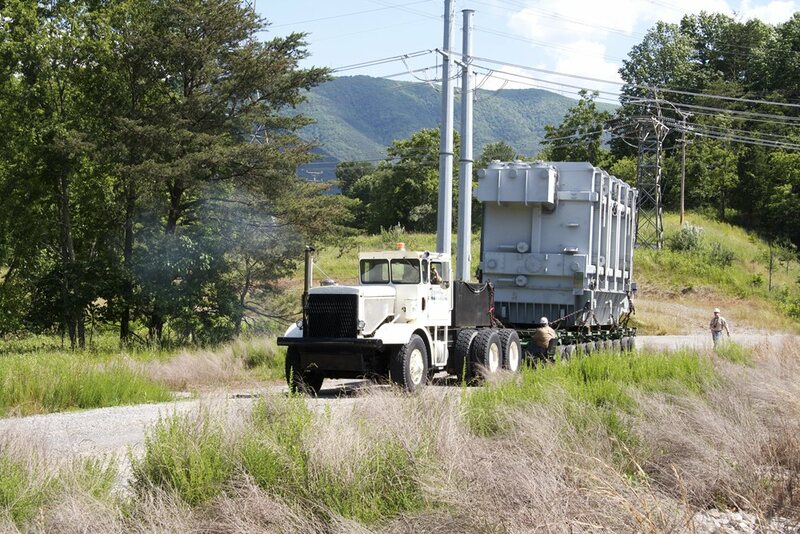 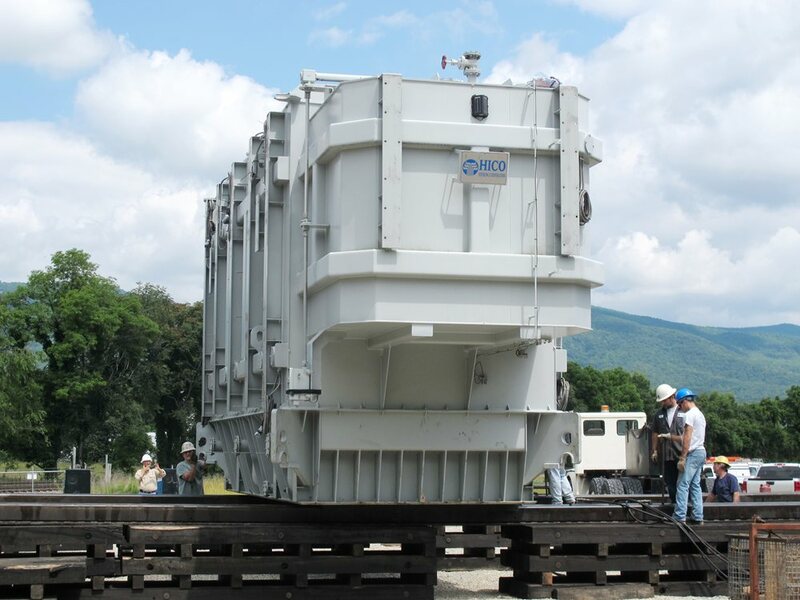 We handle site transport for transformers up to 300 tons and road transport for transformers up to 70 tons on our own specialized trailers and decks as well as coordinate the transport of larger transformers via road, rail or barge. 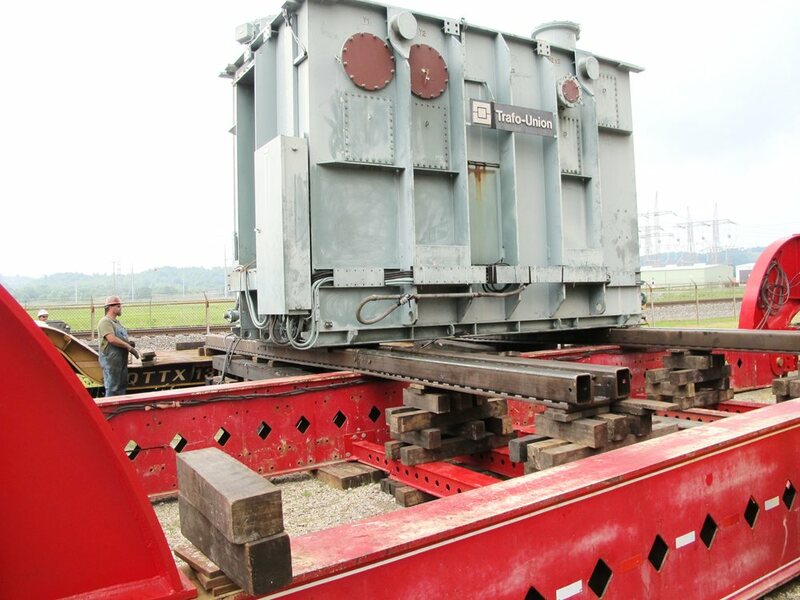 Coast-to-coast movement on specialized railcars of transformers up to 300(+) tons. 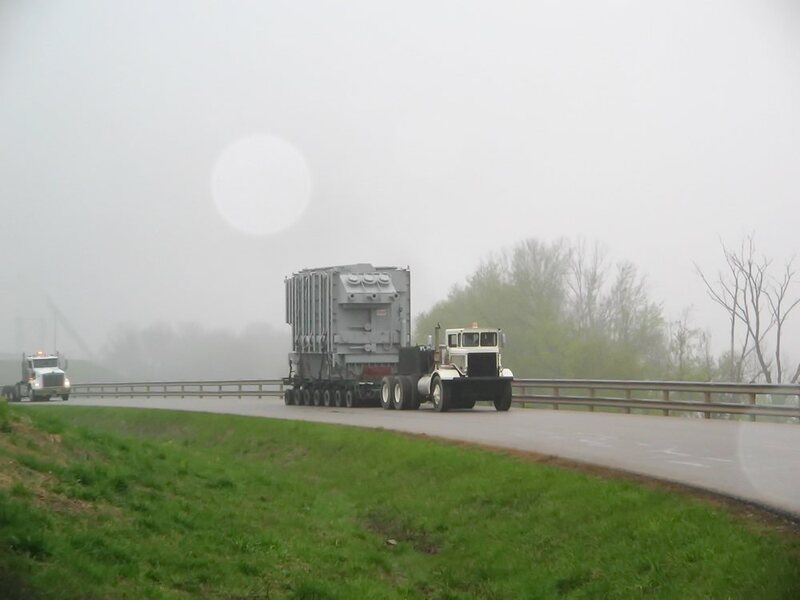 Real time GPS tracking services. 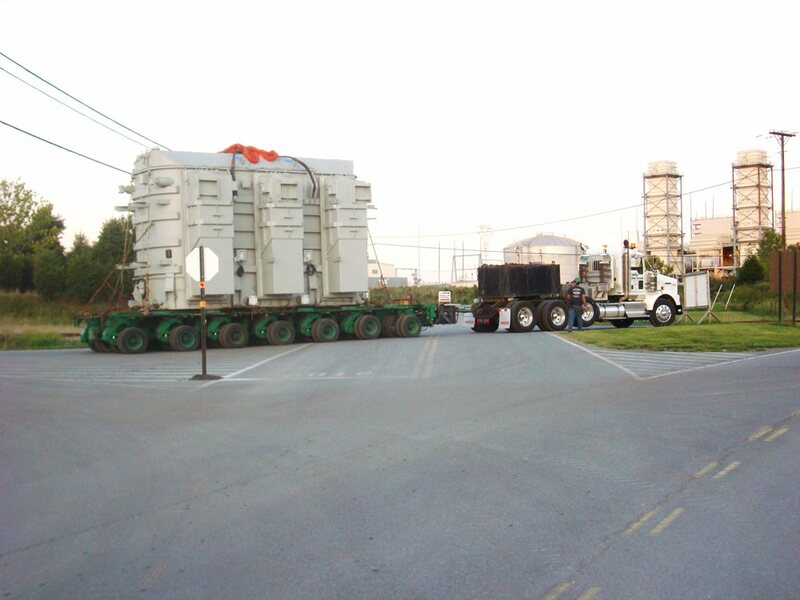 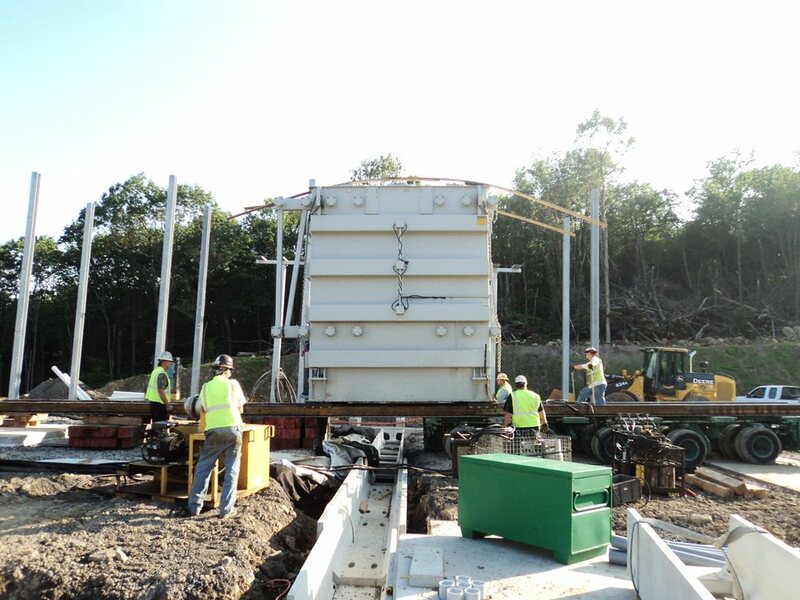 Our jack and slide systems give us the ability to safely slide, load and unload transformers weighing several hundred tons from under energized power lines and energized structures inside substations, eliminating the need for outages and the expense of large-capacity cranes. 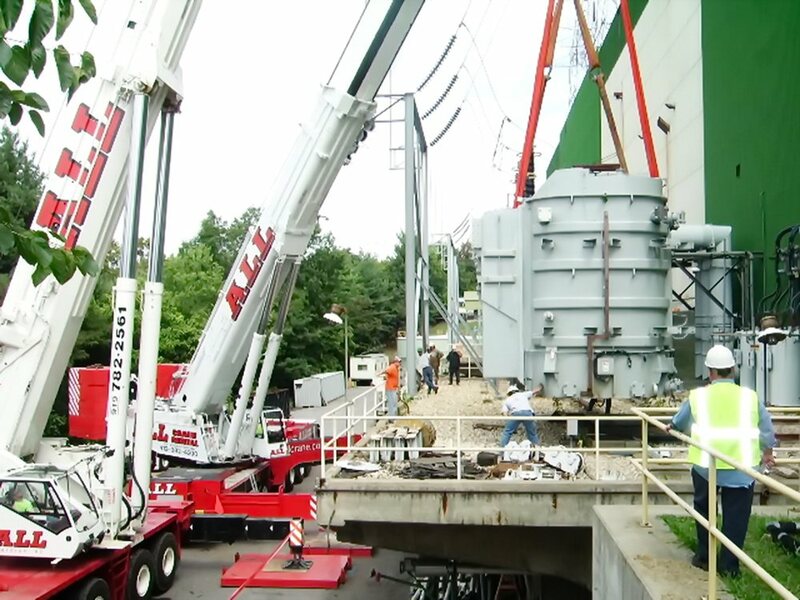 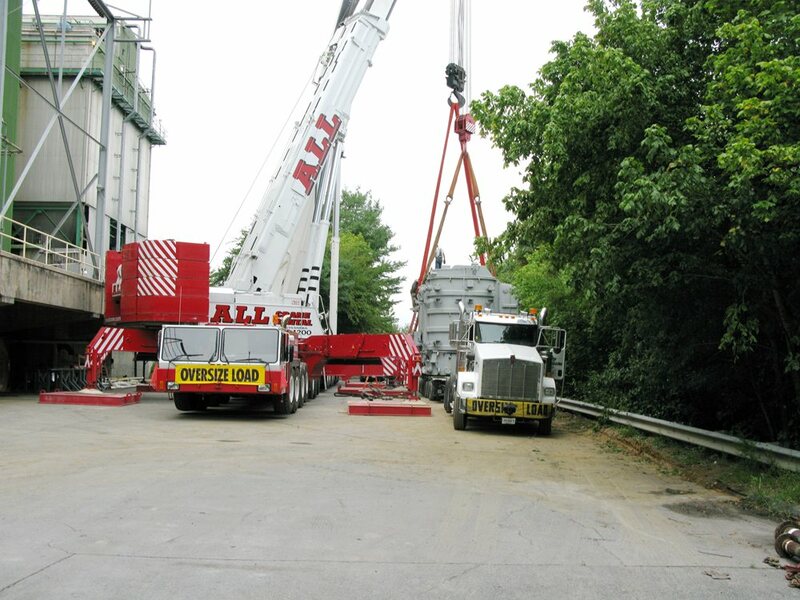 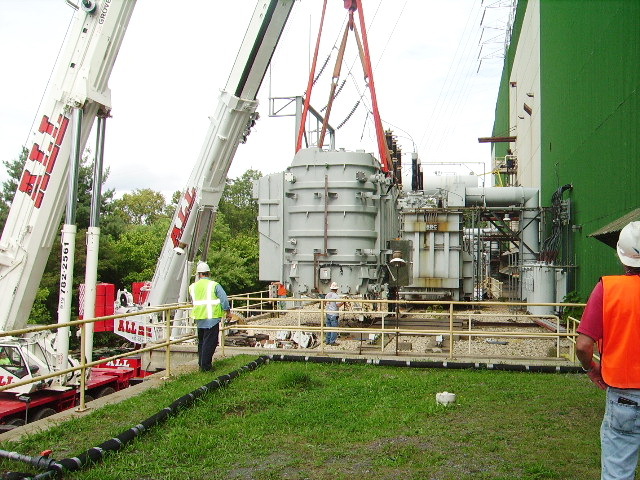 We can usually have a transformer slid into place or loaded before a large capacity crane can be brought in. 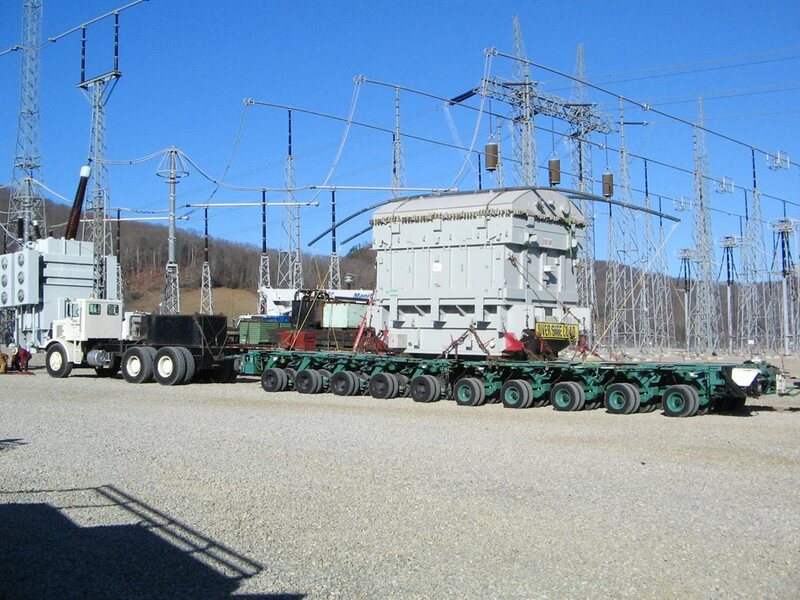 We work for a number of large Mid-Atlantic utilities as well as transformer manufacturers and large international freight forwarders.